A very obvious, seemingly surface, yet integral part of your branding success is design. And the first paragraph in the book of design is your choice of color. The strategy behind selecting brand colors is often times overlooked by business owners and left up to the hands of designer or founder’s personal choice. If you hired professional help in logo and website design then keep your fingers crossed that your he / she has an ample understanding of your company goals, customer demographics, behavior, and your product of course. Over 70% of the time that is not the case. A branding expert will help in this scenario, but wouldn’t you rather take control into your own hands? After all, nobody knows your company better than you. As much as we would like to believe that our customers are logical individuals who make decisions based on substance rather than fluff, at the end of the day you are marketing to humans. And human decisions are driven by the subconscious mind as much as conscious. Through the use of color you can instill trust, excitement, or even fear. 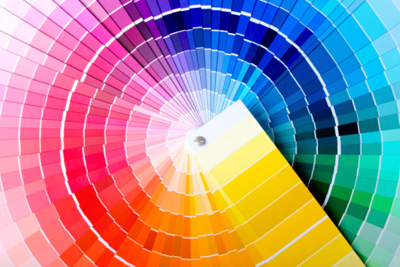 Each color has its own unique personality and evokes very specific emotions within us. It take about 5 seconds for a customer to judge your company as they enter the website. It is not too different than how fast and interviewer makes decision. So let’s figure out how to make a good first and long lasting impression.